The Speedpost Plastic Satchel with 2 sizes is designed for facilitating Speedpost customers to post document item. 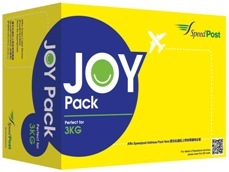 The price of Speedpost Plastic Satchel will be deducted from the postage when using specific Speedpost services to send Speedpost items with Speedpost Plastic Satchel. 2. The deducted price of Speedpost Plastic Satchel applies only to Speedpost items posted with brand new Speedpost Plastic Satchel, reuse Speedpost Plastic Satchel will not be entitled for price deduction. 3. Price of Speedpost Plastic Satchel will be deducted directly from postage when items are posted at Post Office and through Pick-up service. For items paid in advance at the EC-Ship platform, price of satchel will be deducted from on-line payment or refunded through existing refund procedure. 4. Hongkong Post reserves the right to amend the terms and conditions of this postal stationery without prior notice. In case of dispute, the decision of Hongkong Post shall be final. *Items with value-added services "Cash on Delivery" and "Postage Paid by Addressee" is excluded. 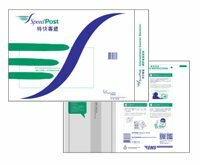 The Speedpost Cardboard Satchel is designed for facilitating Speedpost customers to post urgent documents. 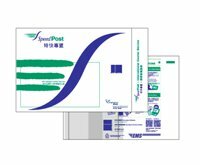 To ensure mail safety, please check whether the Speedpost Cardboard Satchel is securely closed and seal up the satchel with strong adhesive tape where necessary. Please tell me what you require, and we will deliver the item(s) to you as soon as possible. 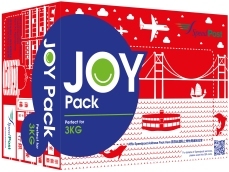 Remarks: All purchases costs will be deducted from your postage when you send your package using Multipack rates.